Today we have been busy installation our transmission equipment. 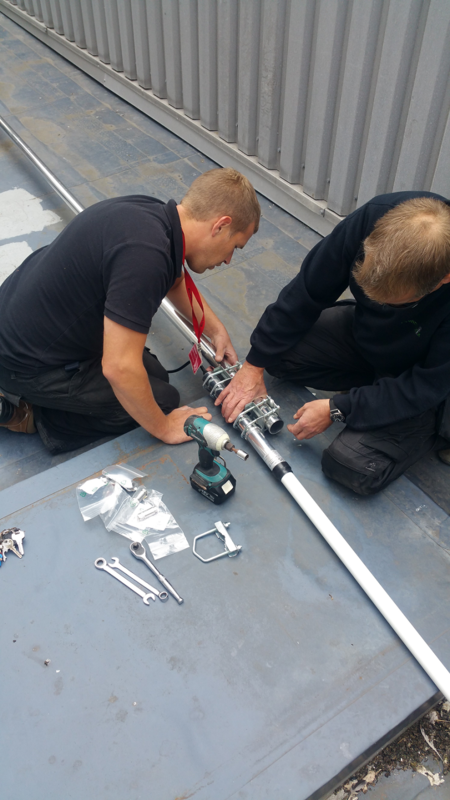 This morning, whilst the weather was good, we started off by assembling our transmission antenna. After this we then installed the transmitter and multiplexer. In simple terms, the transmitter generates our signal and the multiplexer takes the studio feeds from our services and presents them to the transmitter. Whilst we have had a successful day, you won’t be able to listen to our transmissions just yet. We still have some behind the scenes work to do with the IT network we will use and Ofcom have to inspect our transmission equipment to ensure they are satisfied it is set up correctly. Once we are happy everything works correctly and we have the go ahead from Ofcom we will announce a launch date, please bear with us, we hope not to take too long.